Can automation create a more robust leak detection system? A new form of detecting gas leaks in petrochemical plants and pipelines has been announced, as autonomous patrolling robots have been developed to use light and sound sensors to ‘listen to’ gas leaks. 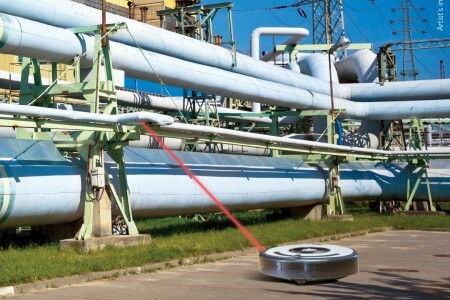 The autonomous robots are fitted with tiny chemical sensors which allow them to listen to the ‘sounds’ produced by gases which in turn, means they are able to detect any possible leaks. The patrolling robots are set to dramatically reduce the risk of petrol plant explosions or potential oil refinery disasters. The extremely small ‘Photo-Acoustic’ gas sensors are fitted onto the robot and become part of the wireless network that continuously monitors pipelines. The continuous monitoring means that it is able to instantly identify petroleum, hydrogen sulphide, and a number of other toxic gases. After detecting the possible toxic gases, the robot then alerts the operatives who would be working in the oil rig or chemical plant. Currently, state of the art technologies can take up to eight minutes per measurement to detect gas leaks and may even give ‘false positives’. EU researchers REDFINCH have exploited new techniques that combine photonic and acoustic technologies in the hopes of identifying a leak in milliseconds. REDFINCH believe that their autonomous patrolling robots will not only be more robust than existing technologies but also several times cheaper. If you would like to expand your pipeline leak detection knowledge, then why not register for industry experts, Khrone's webinar? Follow this link to learn all about the importance of leak detection.